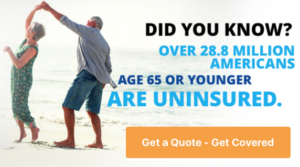 You are 65 and older and eligible for Medicare or under 65 and eligible for Medicare for disability reasons. You enroll within 6 months of enrolling in Medicare Part B. You are not covered by Medicaid. You are a North Carolina resident. It’s essential that you choose the Blue Medicare Supplement plan that is ideal for your particular needs. To make it easier for you to determine which plan is right for you, let’s take a closer look at all of the plans available. Basic benefits including 100% Part B coinsurance. Hospitalization and preventive care paid at 100%; other basic benefits paid at 50%. 50% skilled nursing facility coinsurance. Out-of-pocket limit $5,120; paid at 100% after limit reached. Hospitalization and preventive care paid at 100%; other basic benefits paid at 75%. 75% skilled nursing facility coinsurance. Out-of-pocket limit $2,560; paid at 100% after limit reached. Basic benefits including 100% Part B coinsurance except up to $20 copayment for office visit and up to $50 copayment for ER. The MAIR Agency can help you find the right Blue Medicare Supplement plan for you. Contact us today.